1. 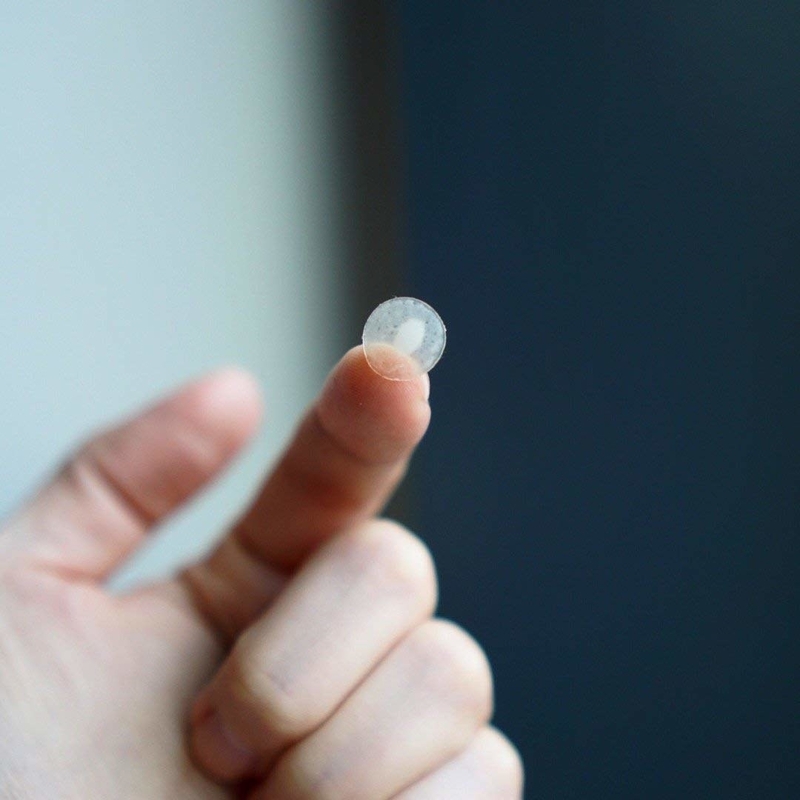 Mighty Patches answer your pimple anxieties with their special hydrocolloid material that draws out all of the gross (but oddly satisfying) pus and other impurities inside whitehead-showing pimples — stick 'em on those suckers and watch them deflate before your very eyes! Get a 36-pack of regular patches from Amazon for $11.88 or a 39-pack of the Invisible+ patches (designed for daytime wearing, though you can wear whatever you want out!) from Amazon for $17.99. 2. Sweet Chef Serum Shots encourage you to try out the popular K-beauty "double serum" method to target your specific skin issues — so, for instance, combining a drop of Beet + Vitamin A (smoothes, refines pores) and Ginger + Vitamin C (reduces hyperpigmentation, helps even skin tone) each is the perfect recipe for "glass skin." They have a lightweight gel essence consistency, which makes them SUPER easy to mix together, or just apply on their own. Get them from Glow Recipe for $20 each: Beet + Vitamin A, Kale + Vitamin B, and Ginger + Vitamin C. They also come with matching, Instagram-friendly sheet masks! The whole Sweet Chef line is also available on Target! 3. 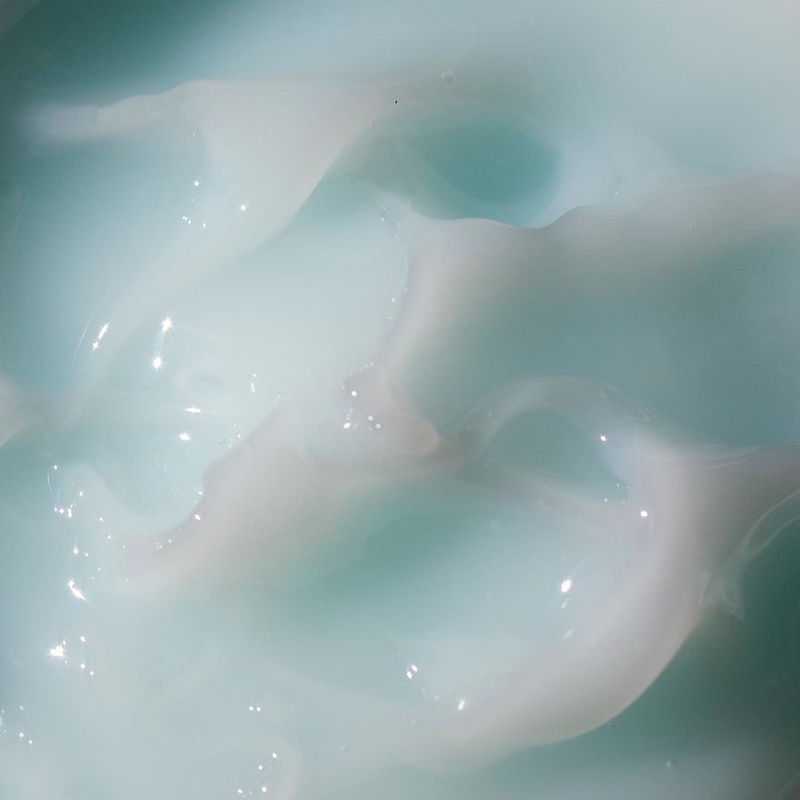 Belif Aqua Bomb has a ridiculously satisfying ~water burst~ formula, which means its gel texture disperses into water droplets you can feel as it's being rubbed into your skin — and alongside a blend of apothecary herbs, it calms down normal, oily, and combination skin types and smooths everything over without leaving any residue or unnecessarily heavy texture behind. Get it from Sephora for $22+ (available in mini and full sizes) or Amazon for $38.42 (full size only). The Aqua Bomb line also includes a sleeping mask and mist. 4. Peach & Lily Glass Skin Serum is your K-beauty "super juice" in a bottle — aka, its powerful formula of peach extract, niacinamide, Asian mountain yam extract, hyaluronic acid complex, and peptide complex leaves your skin looking like a plump, poreless dream — while penetrating skin cells deep within for the *long-term* health of your skin. Get it from Ulta for $39. 5. My Skin Mentor Dr. G Brightening Peeling Gel is a physical exfoliatior that flippin' works — the gel instantly forms into little balls of cellulose that sloughs off way more dead skin cells and surface debris than you thought possible for a smoother, brighter (hello, vitamins C and E!) complexion. And despite its intense nature, it's totally gentle enough for sensitive skin and it's packed with calming ingredients like honey, black willow, and aloe. Promising review: "My skin is visibly smoother and brighter, and I feel like the rest of the products I use are working better because there’s less dead skin cells to get passed. I have been doing the 10-step routine for six months with wonderful results, but I felt like I had hit a plateau. Now with this exfoliating gel added to my arsenal, I have hit a new level of skin happiness." 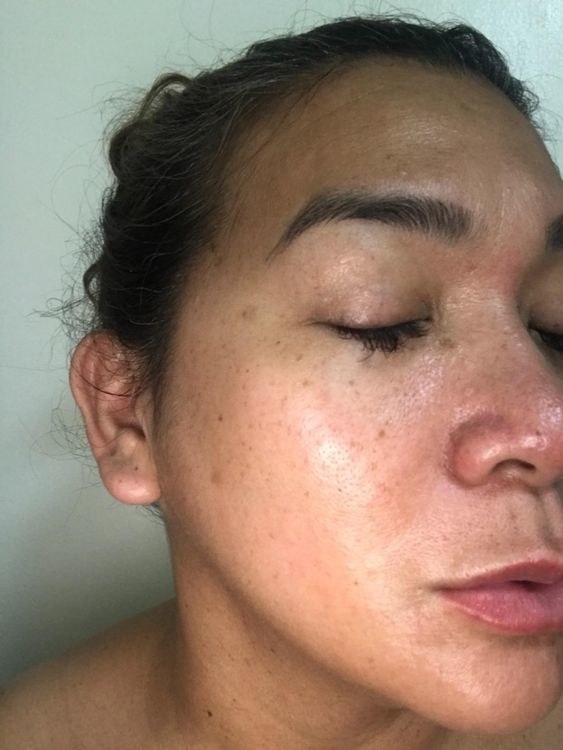 —Piano L.
Check out our full review, "Here’s The Deal With The Magical Peeling Face Gel Everyone Loves," for all the deets! Get a 4.2 oz bottle from Amazon for $11.99 or an exclusive two-piece set (one 4.2 oz and 2.1 oz bottle each) from Soko Glam for $28. 6. Skinfood Black Sugar Perfect Splash Mask only takes 10 seconds to work its magic, but still manages to have a huge payoff — namely, its organic Brazilian black sugar and PHA formula effectively scrubs away dead skin cells, restores your skin's pH, leaving your skin oh-so smooth and soft. Promising review: "I LOVE that I can use this product in the shower! I have combo/sensitive skin and this product does not irritate it at all! I would describe the scent as fresh and clean with herbal/floral notes. It leaves my skin feeling smooth and supple — I can actually feel it sinking into my skin, and it's the coolest feeling ever." —Jacoya E.
Get it from Ulta or Soko Glam for $26. If you want to learn more about shower-friendly splash masks, check out "If You're Lazy But Want Nice Skin, 15-Second Splash Masks Are The Perfect Skin Care Hack." 7. 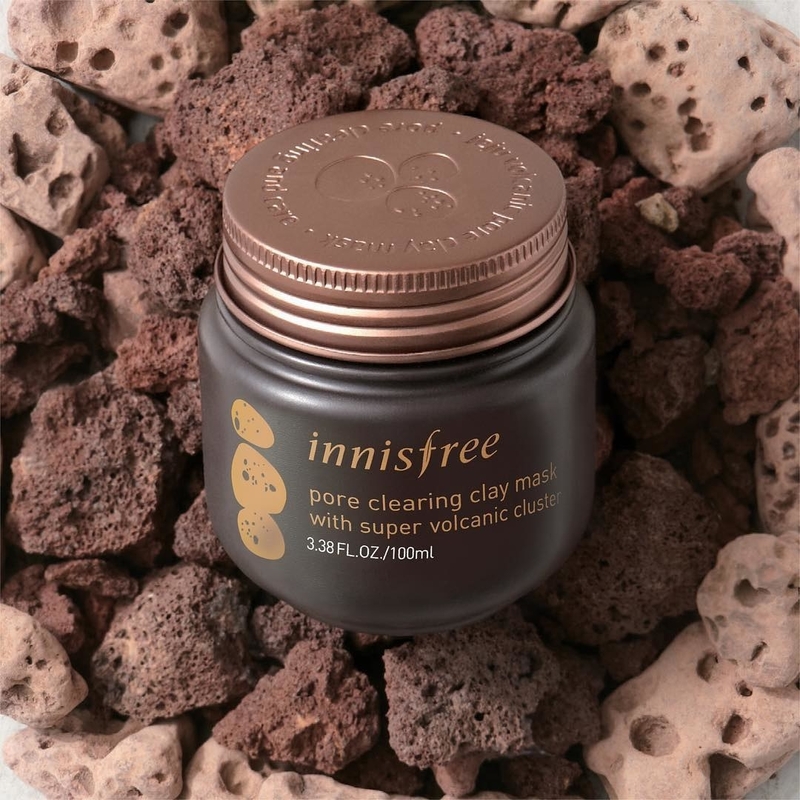 Innisfree Super Volcanic Pore Clay Mask 2X contains real Jeju Island volcanic clusters that use their naturally porous features to absorb all that excess oil you produce — and it contains twice the amount of volcanic ash as the original formula! Get it from Amazon for $12.83. 8. Dr. Jart+ Cicapair Tiger Grass Color Correcting Treatment instantly calms down rogue redness with color-changing capsules that blend into your skin tone, protect against UV light (SPF 30) and environmental aggressors, and boost fatigued-looking skin. In other words, it's a great alternative to BB cream or foundation for those ~lighter~ days. 9. 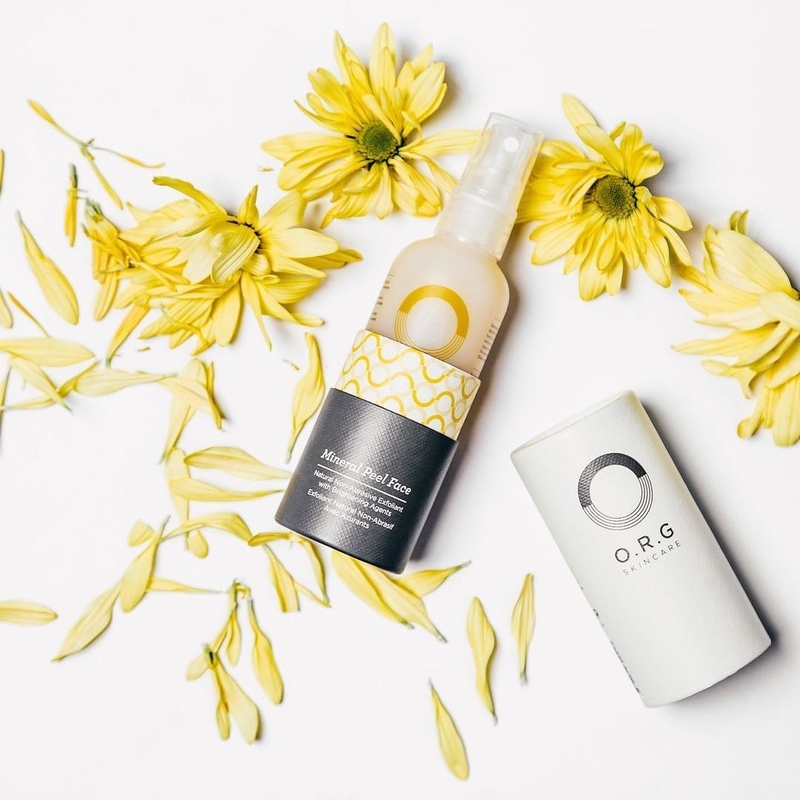 O.R.G Skincare Mineral Peel Face is the perfect physical exfoliator for impatient people. You just spritz it on, and within a second of rubbing it in, a powerful but non-abrasive blend of fruit enzymes, mugwort extract, and natural brightening agents like milk thistle and licorice roots, gently lifts away dead skin and deeply-rooted makeup remnants within your pores. 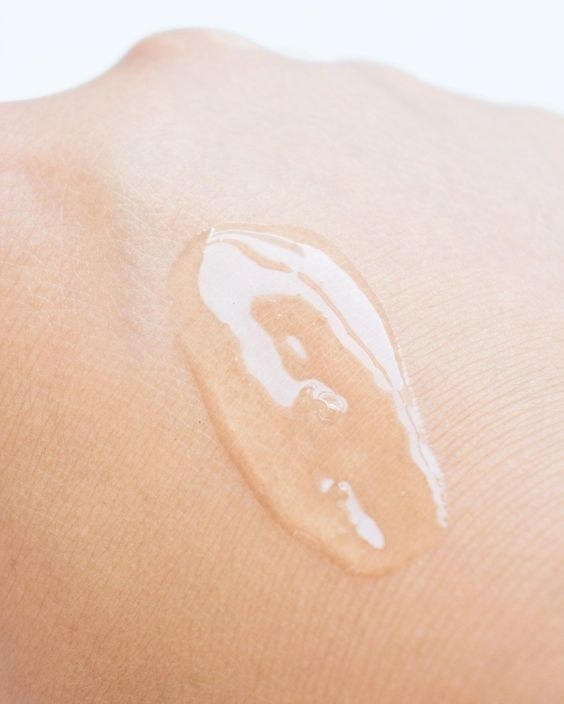 Fair warning: your foundation will literally GLIDE ON LIKE A DREAM afterwards. Get it from Amazon for $29.49 (also available in a body formula). 10. Mamonde Petal Spa Oil to Foam Cleanser combines the beloved double cleanse formula into one convenient bottle — the oil formula emulsifies into a creamy foam when activated by water — so you can still get your deep cleanse on even when you're in a rush (whether that's to work or to bed). And hello, calming rose scent! Who says you can't create a spa-like experience at home? Get it from Ulta or Soko Glam for $21. 11. 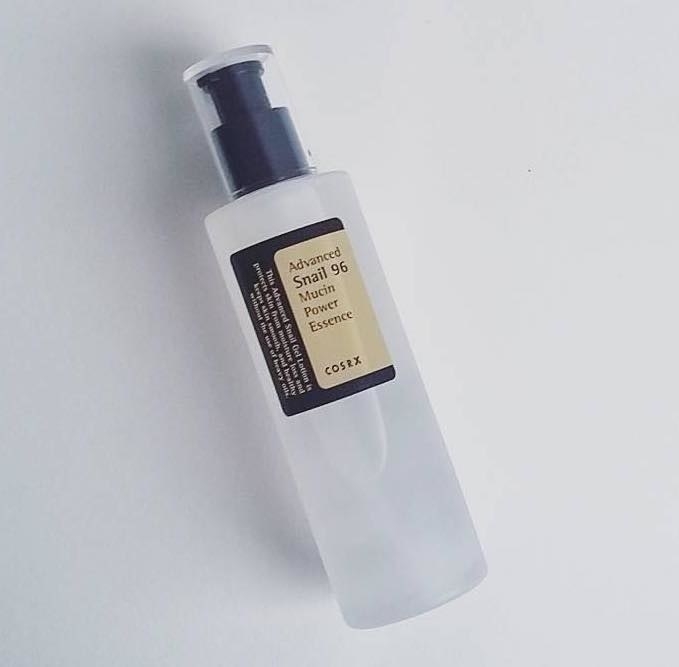 Cosrx Snail 96 Mucin Power Essence contains a whopping 96% filtered snail mucin to replenish dull, stressed, and dehydrated skin. Promising review: "I started a Korean skincare routine, and this was the final product I added. When I started using this essence, I feel like it took my skin from looking 'pretty okay' to, 'Wow, that actually looks a lot better.' I have combo skin — mostly dry but with areas of acne. It's helped to add moisture to the dry sections without breaking me out in the oily sections, and my redness is also reduced the next morning. The immediate effect is my skin feeling/looking plump and healthy. There is not much of a scent and there's so much product in this bottle, it's going to last a long while." —Annalisa H.
12. Earth's Recipe Waterful Sun Gel SPF 50+ PA+++ wins the award for least annoying sunscreen ever, because it's so incredibly lightweight (it's formulated with ~harrogate sparkling water~) that there's literally no chance of greasiness, heaviness, or white cast — it's sunscreen that applies as seamlessly as a light lotion. P.S. It's free of parabens, synthetic dyes and fragrances, and mineral oils. Woo! 13. 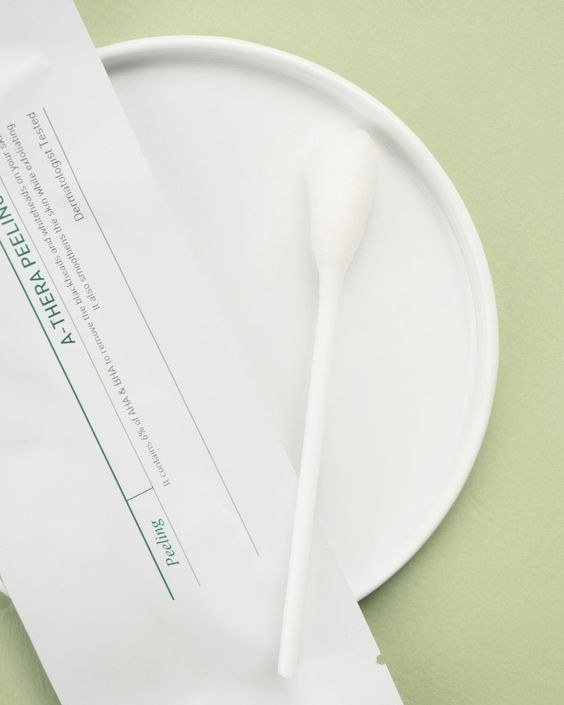 Dr. Oracle A-Thera Tea Tree Peeling Sticks are super easy one-and-done cotton swab applicators that are soaked in acne-fighting lactic and glycolic acids to get rid of breakouts and gently exfoliate every nook and cranny of your face — just do a few swipes, and you're done! The gentleness comes from a blend of tea tree extract, lemon extract, and bamboo extract. Everything works to speed up the blemish recovery process *and* prevent them from popping up in the future. Promising review: "I was a little nervous to try this product because it seemed like it could be harsh. I was incredibly amazed when it wasn’t at all harsh on my skin and it helped my blackheads and whiteheads on my chin (problem area) overnight! The texture of my chin has been really off as well (dry patches, yet blackheads and whiteheads) and it immediately rectified that. I was super pleased with this purchase and will definitely be buying it again." —Julia A. Get a 10-pack from Soko Glam for $24. 14. 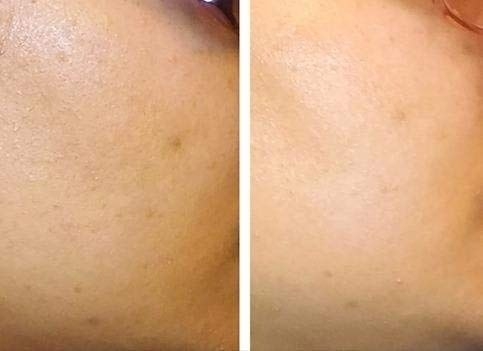 Private Doctor Minus Serum comes straight from a premier dermatology clinic in South Korea (ID Hospital) and uses ID.SCULPT Technology — a blend of micro-tingling spicules and a patented sodium deoxycholate complex — to target any lack of elasticity and firmness on your face, neck, or décolleté. You really do feel tingling upon application — it's kind of like what I'd imagine using a microneedling device feels like. 15. Cosrx One Step Original Clear Pads are pre-soaked toning wipes loaded with betaine salicylate and willow bark water to make blemishes disappear, so your oily/combo skin clears up and stays that way. Get a container of 70 Original Clear pads from Jet for $15.68 (originally $18.90) or Ulta for $20. Got sensitive skin? 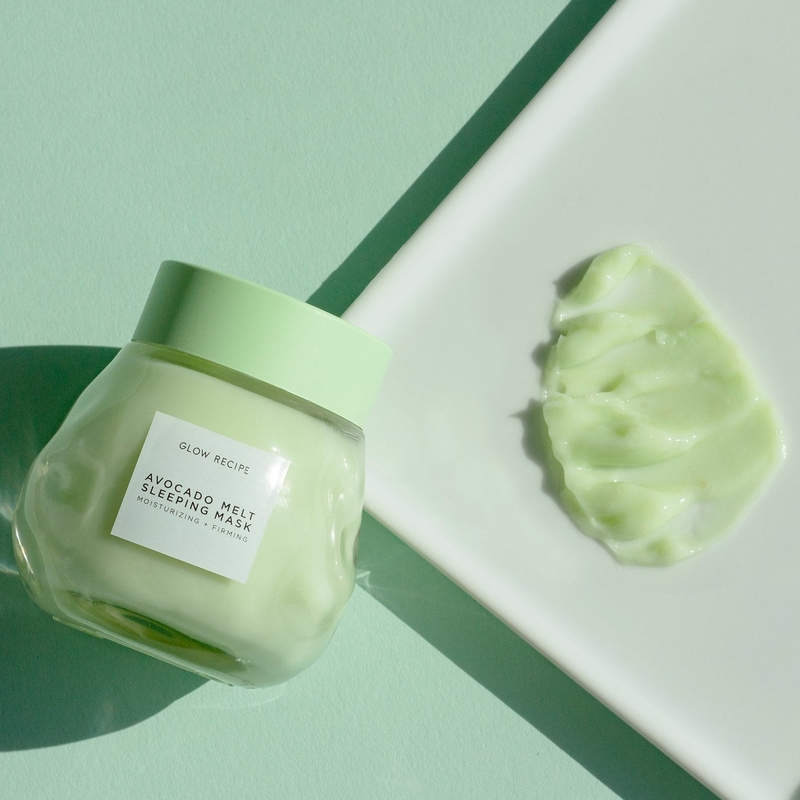 Try the One Step Green Hero Calming Pads, which contain green tea and witch hazel for a gentler targeting of pores, excessive oiliness, redness, and dehydration. 16. 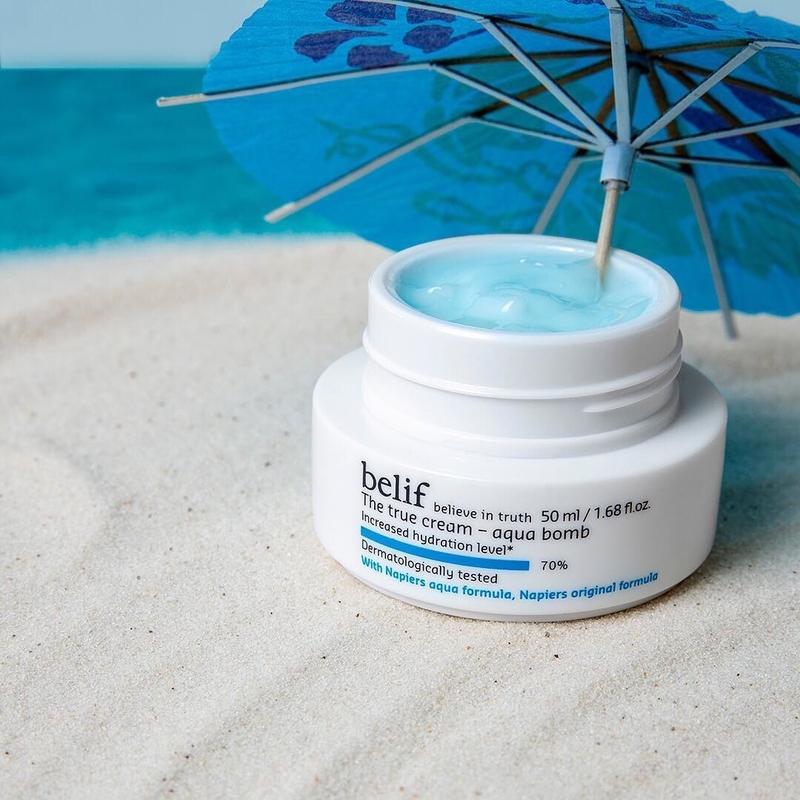 Belif Creamy Cleansing Foam Moist is a luxe, creamy, and rich-lather cleanser packed with apothecary herbs (what Belif is known for!) rich in Vitamin C for a brightening effect you can really ~see~ each day — talk about a natural glow! 17. Glow Recipe Avocado Sleeping Mask wraps extra dry skin in a nourishing blanket of deeply hydrating and soothing avocado, manuka honey, kaolin clay, and PHA (a super gentle exfoliator that's easier on the skin than AHA and BHA), so your skin gets the re-up it needs while you're snoozing. It's meant to be used as a sleeping mask, but if it's a little too thick for your skin to absorb, it also works great as a wash-off mask! And be sure to keep it well mixed up with the spatula to avoid separation. P.S. This is great for most skin types, but careful if your skin's sensitive. 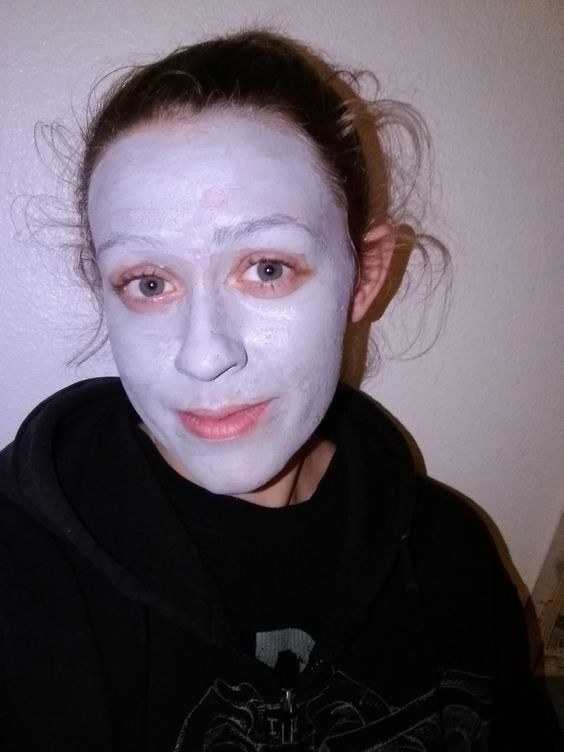 Promising review: "This product really saved my skin after staying at my dad's for the holiday — the air was so dry, but the avocado sleep mask perked me up in no time! I also used this so my skin wouldn’t dry up after wisdom tooth surgery. 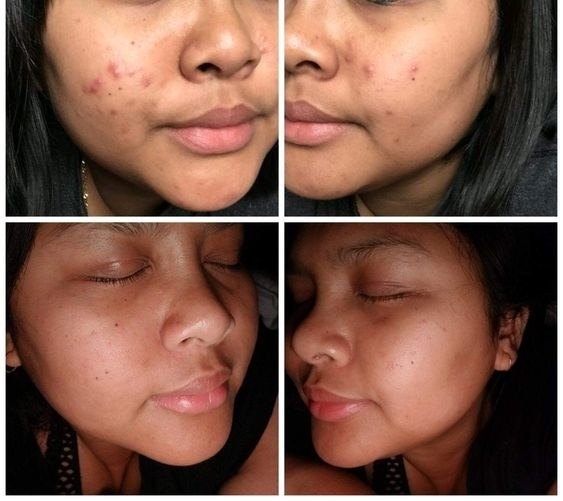 Weird testimonial, but when ya can’t dedicate time to skincare, it’s a lifesaver!" 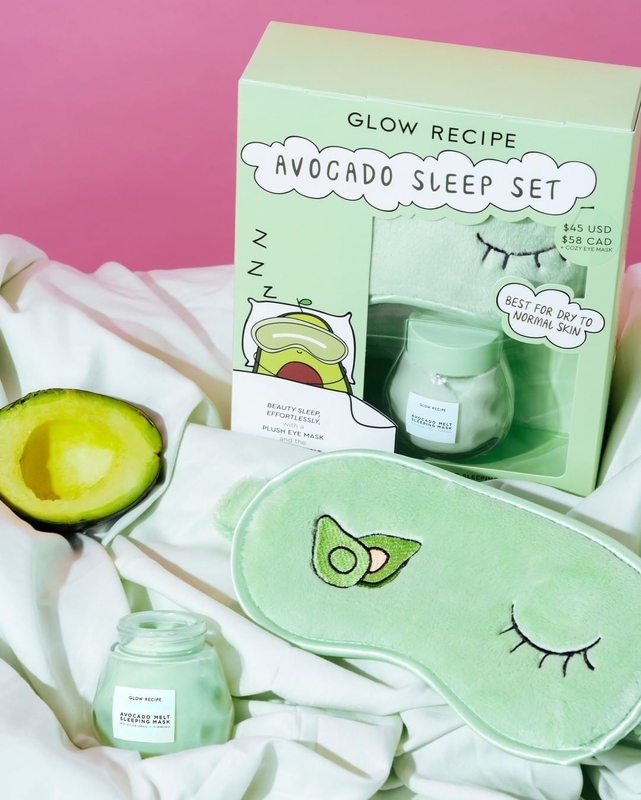 —Darby S.
Get the mask from Glow Recipe for $45 or a limited-edition Avocado Sleep Set (which includes a super cute eye mask!!) from Sephora for $45 as well. 18. Benton Snail Bee High Content Essence loads up on snail mucin to support natural cell regeneration and replenish all the moisture you need and lose throughout the day — plus bee venom has anti-inflammatory and anti-bacterial properties, so you know you've really protected your troubled skin from further ~dangers~. Get it from Amazon for $13+. The Snail Bee line also includes a toner, steam cream, lotion, and sheet masks. 19. 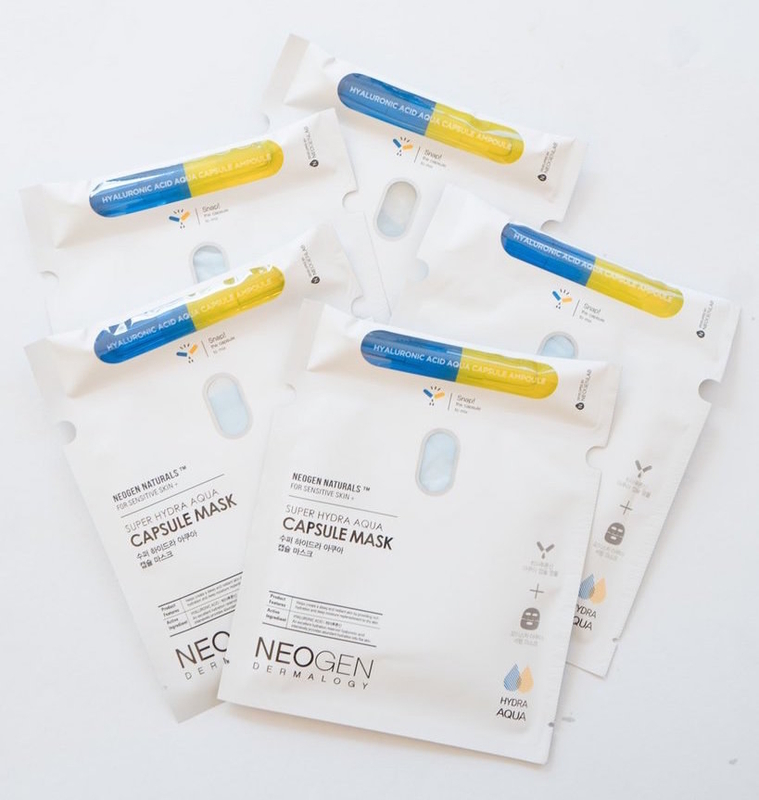 Neogen Super Hydra Aqua Capsule Mask is a sheet mask unlike any you've used before — there's a capsule filled with hyaluronic acid ampoule that you snap at the center so it can drench your mask in real time, so you know your hydration is ~fresh~ and evenly distributed (because you're doing that work!). Get a set of five from Soko Glam for $25. 20. Benton Tea Tree Cleansing Water goes beyond the call of a makeup remover (aka my favorite lazy skincare product), because it's made up of 70% tea tree leaf water, which we know fights acne and keeps excess sebum in check. Get it from Amazon for $17.07. 21. 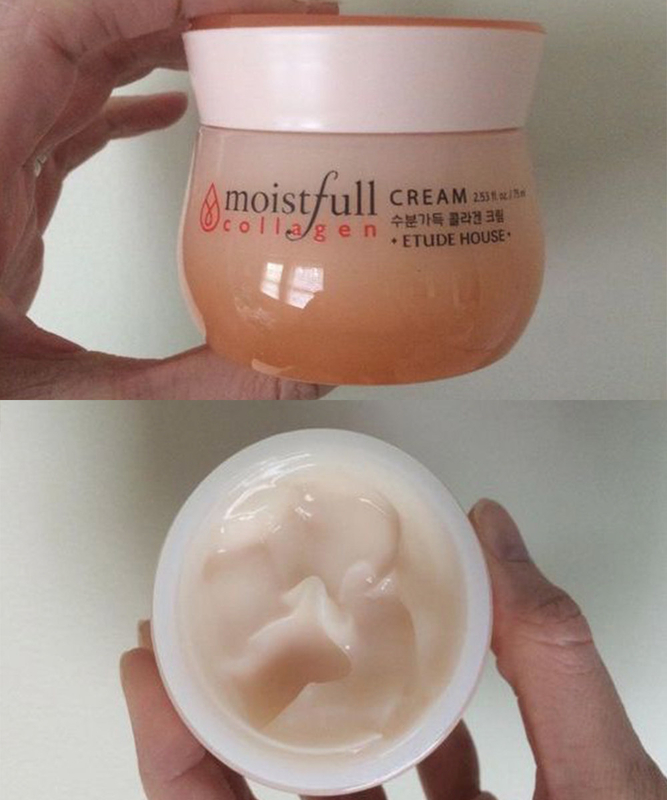 Etude House Moistfull Collagen Cream puts your face on full hydration blast with super collagen water and baobab oil (which comes from a desert-thriving tree that's capable of storing 120,000 liters of water! ), and its watery gel texture absorbs quickly so your skin looks dewy, plump, but doesn't feel heavy at all. Promising review: "As far as I'm concerned, it's my holy grail of moisturizers, and I've tried Clinique, SK-II, La Prairie, La Mer, La Roche Posay, Avene, etc. I'm on my second jar, and my only regret is that it doesn't come in a giant economy size, so that I could literally cover myself in it during the cold months. It absorbs fairly fast and it is really, really soothing in the winter. In the winter my skin will reach the point where only avocado oil doesn't make it sting, but of all the moisturizers I've used, this one stings the least and for the shortest amount of time. It's such a relief to have finally found a product that moisturizes, plumps up fine lines, and doesn't cost a small fortune!" —Kelly V.
22. The Plant Base Waterfall Moist Balanced Hyaluronic Acid 100 only nourishes your skin with the best, and by best we mean 100% pure sodium hyaluronate, a stable, water-soluble form of hyaluronic acid (our winter dryness savior) with smaller molecules that more easily penetrate and plump up your skin. Promising review: "I recently switched from a hyaluronic serum to this ampoule and I'm loving it. I really like that it's 100% sodium hyaluronate and there are no filler ingredients. It absorbs really well and leaves my skin feeling very hydrated, smooth, and balanced. My only complaint is that I wish the bottle was bigger!" —Dana S.
23. Acwell Licorice pH Balancing Essence Mist can be used in place of a heavier essence, as a midday TLC pickup (because our skin needs constant hydration! ), and as a makeup setting spray — basically, you'll need one stationed at your desk *and* in your purse for mist o' clock anytime. 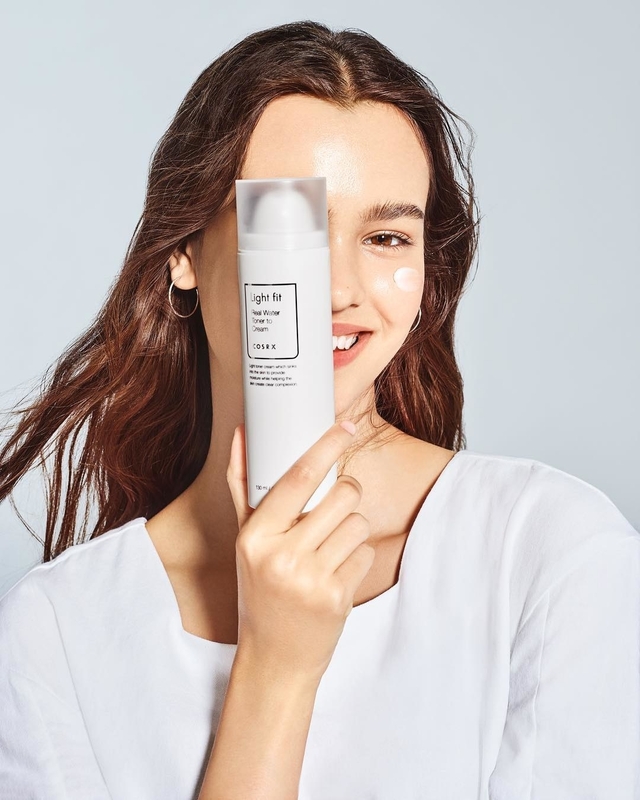 It doesn't contain your average ingredients either, but rather proven nourishing and brightening ingredients like saccharomyces ferment filtrate, bamboo water, algae extract, licorice root extract, centella asiatica leaf water — and absolutely no alcohol, parabens, or artificial fragrance. Promising review: "This essence is brilliant. The mist is so fine and it's so quick to use in the morning when I'm in a rush. Leaves my face feeling fresh and hydrated, and I feel like my skin has been producing way less oil than it usually does." —Alice B. Check out my full review of the product (#8)! 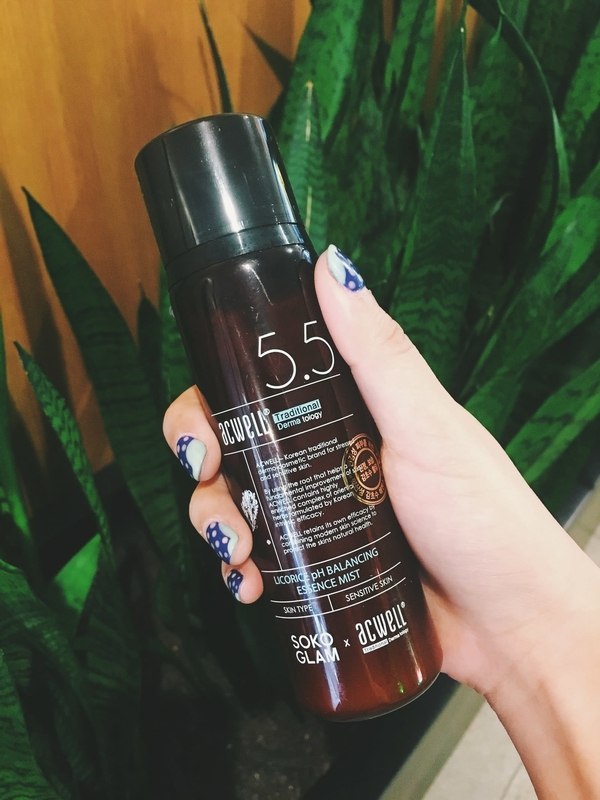 This product was created as a result of the Acwell pH balancing toner's popularity/effectivness! 24. Klairs Rich Moist Soothing Cream provides both immediate and long-term moisture that has the right amount of ~richness~ but doesn't feel like it's clogging up your skin — thanks to a nourishing and skin-cell-and-barrier-strengthening combination of yeast-derived beta glucan, jojoba oil, and ceramides. Promising review: "This moisturizer has been my holy grail product this winter. My skin has been drier than it's ever been and has caused my skin to breakout and have fine lines from being parched. I had never used a real heavy duty moisturizer, so I was nervous that this would feel heavy or greasy. While it is a very thick and balmy product, it absorbs so well into the skin. Within a few minutes, it sinks in an doesn't feel sticky or greasy at all. You can tell it's a very gentle product with little to no fragrance. It's like a deep conditioning treatment for your face. Makes my skin so glowy, and any rough patches and fine lines disappear. My makeup sits SO much better on my face after using this product and doesn't cake up around my dry areas and lines anymore." —Morgan C.
Get it from Amazon for $19 or Soko Glam for $23. 25. Cosrx Light Fit Real Water Toner to Cream is texture-changing toner and moisturizer hybrid with an airless pump and unique water drop texture that allows the ingredients — which include sea water, Vitamins C and E, and niacinamide — to dive deeper into the skin for long-lasting moisture. Plus, it's so addicting to watch the formula disperse into droplets! This texture is unreal, y'all! I love using this in my wintertime skincare routine, because since I'm adding extra layers of hydration, it's super nice that this moisturizer has a watery, weightless finish — especially great for daytime, since it has Vitamin C in it (just be sure to wear sunscreen)! 26. Yuripibu Asiatica Calming Ampoule instantly calms irritated skin with its powerful antibacterial and anti-inflammatory properties — after all, centella — you'll gasp when you see brighter, smoother skin because it won't feel like you have a single product on your face. Get it from Glow Recipe for $38. 27. 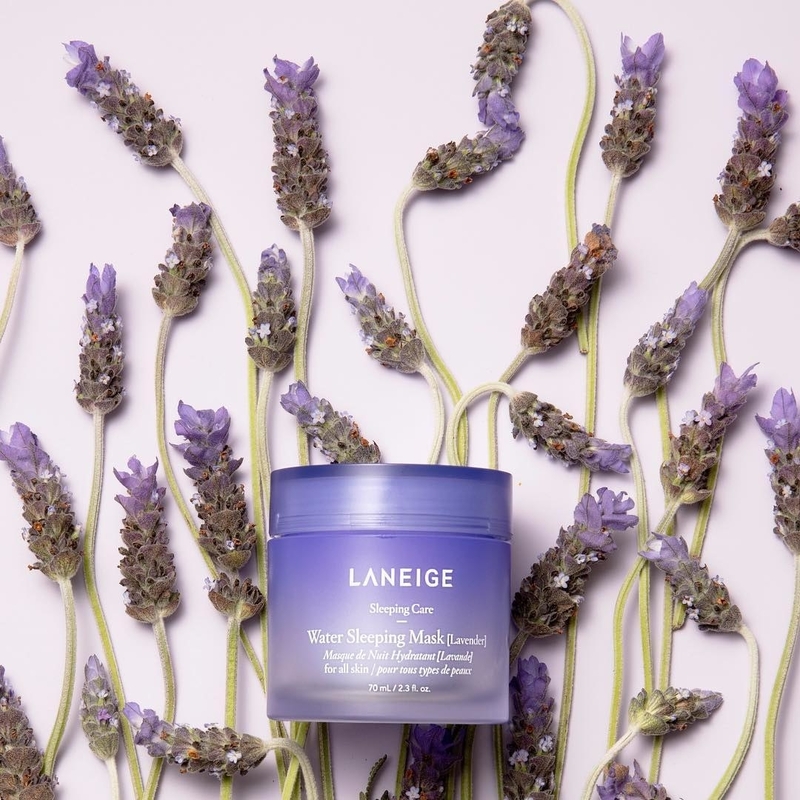 Laneige Water Sleeping Mask (also available in lavender) lulls you into a sweet, relaxing slumber of intense skin repair by sealing in all of the hydration in your skincare routine with a big dose of Hydro Ionized Mineral Water™ — in other words, goodbye, parched skin! Get them from Sephora for $25 each — in lavender and original. 28. 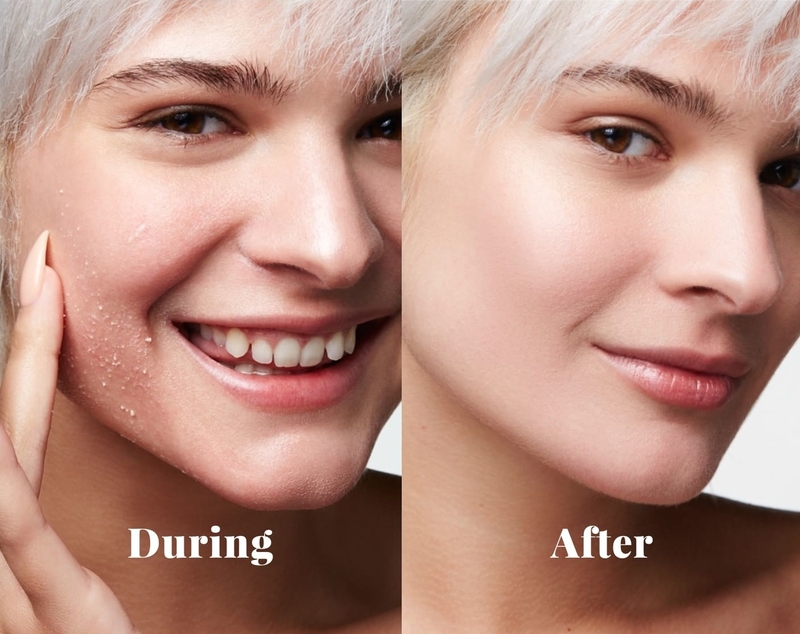 Neogen Bio-Peel Gauze Peeling Wine sloughs off your dead skin cells using a unique three-layer pad technology and lactic acid to deep, deep clean those pores — and it contains Resveratrol (which comes from red wine and is naturally fermented!) has naturally-occuring AHAs that help exfoliate and protect your skin against free radicals. Promising review: "I'm addicted to these pads. First of all, they smell amazing. Second of all, you can control what kind of exfoliation experience you want. I had some stubborn bumps under the skin around my nose that weren't going away with a standard sugar scrub. When I cracked open my first jar of Neogen pads though, the weaved, textured side did just the trick. It's by no means harsh at all, but it was just that extra oomph my skin needed to turn over new cells. These are great for winter when it's harder to shed dull, dry skin. Even if you're looking for the lightest, gentlest exfoliation possible, the soft side of the pad sweeps easily over your face for an effective, mid-week brightening. Just remember to rinse the formula off your face when you're done!" —Brooke B. Read this The Klog article to find out how to use these pads properly. Get a container of 30 from Amazon for $25 or Soko Glam for $27 (also available in lemon and green tea). 29. Klairs Freshly Juiced Vitamin C Serum brightens your skin tone over time, fades brown spots, and prevents further pigmentation from ruining the glow party that is your face. Important: Make sure to store it away from sunlight in a cool place, like your fridge! It's natural for Vitamin C to have discoloration and turn yellow — if it's a light yellow it'll still be effective, but if it turns dark yellow then it won't be as usable. So again, fridge! Promising review: "I've been using it for just over a month and two large freckles (um, age spots) on my cheek are faded to the point that they're barely visible. At this rate, they'll be pretty much gone by next month. It does have a slightly oily feel that makes it easy to smooth into skin, but it doesn't clog my pores or irritate my very sensitive skin. UPDATE: I used this product for a few months and then switched to one with a higher percentage of Vitamin C only to find that it didn't work nearly as well. I'm back to using Klairs and am so impressed by the positive change I see in my skin when I use it — it's brighter, smoother, and more even, even though it's a mild product." —Elisa Q. 30. Neogen Vita Duo Cream is the two-in-one moisturize that makes it impossible for you to forget this crucial skincare step — it's made up of surprisingly lightweight, calming, and redness-reducing Joan Day (green tea and Vitamin C) and Joan Night creams (lavender and Vitamin E), perfectly nestled together for literal 24-hour hydration and protection. 31. 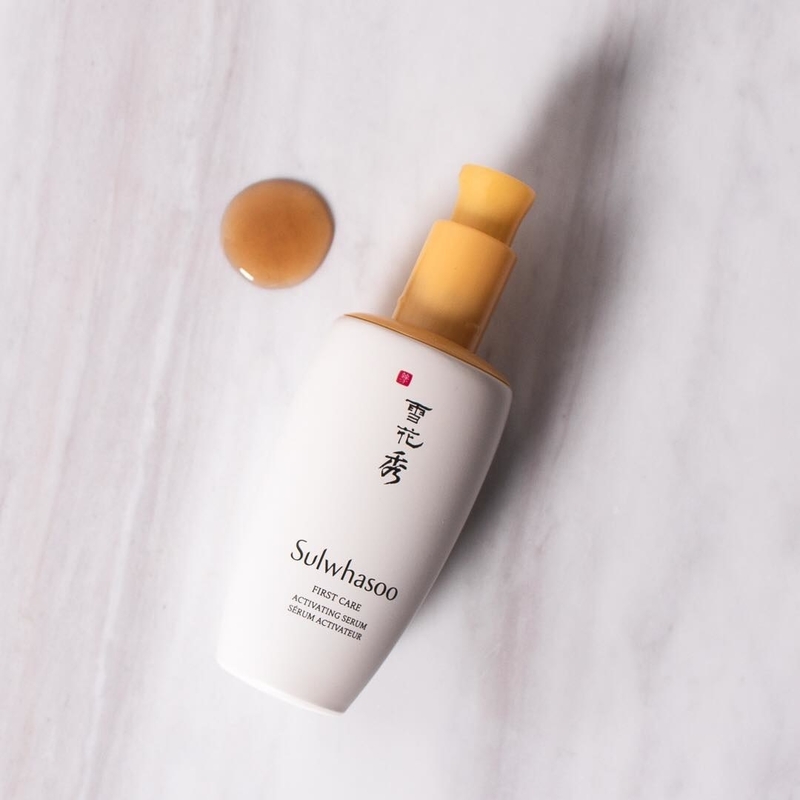 Sulwhasoo First Care Activating Serum is a results-driven "first-step serum" with five of the best Korean herbal ingredients meticulously curated from over 3,000 found in ancient studies. What that really means is that your skin looks glowing and supple even before you get to your toner, and your subsequent products absorb faster and more thoroughly. I also really trust Jude Chao's (aka "Fifty Shades of Snail") reviews, so if she's rebought it multiple times and thinks the price is worth it, IT IS. Get the original 60 ml bottle from Sulwhasoo or Nordstrom for $84, and get the limited-edition 90ml Lunar New Year-themed bottle from Sulwhasoo for $105! 32. Innisfree Youth-Enriched Cream With Orchid is not only one of the brand's global bestsellers, but it's been revamped with a new and enhanced formula featuring Orchidelixir 2.0, which extracts actives from every part of the Jeju Orchid (which even blooms during the winter!) and addresses early signs of mature skin. Get it from Innisfree for $29. Shop the whole Orchid line, which also includes gel-cream (for oily to combination skin) and rich cream (for dry to very dry skin) versions. 33. 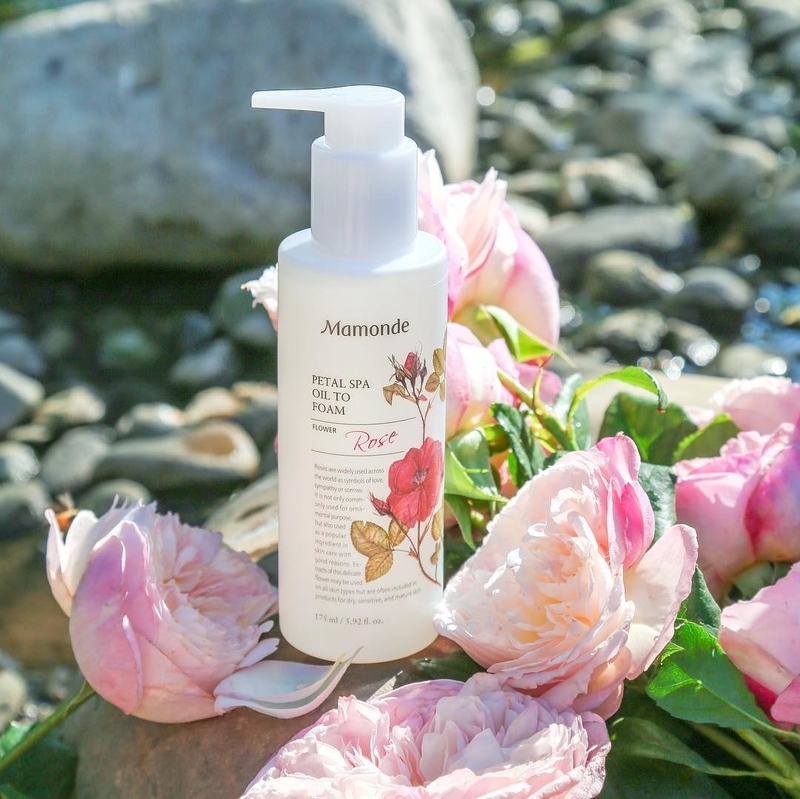 Whamisa Organic Flowers Deep Rich Essence Toner has a super bouncy, 97.5% organic formula consisting of skincare goodies like dandelion oil, chrysanthemum extract, and oat kernel to transform dry skin to dewy glory — and if you like the 7 Skin Method and layering up, you honestly might not even need follow-up moisturizer. Promising review: "This product has transformed my dry skin and made it more plump. I use the 7 Skin Method with this and sometimes don't need a moisturizer after doing so." —Sedes N.
Get it from Glow Recipe for $40 (120 ml) or $67 (300 ml). Whamisa's Organic Flowers line also includes a fab Damask Rose Mist, Cleansing Oil, Eye Essence, etc.